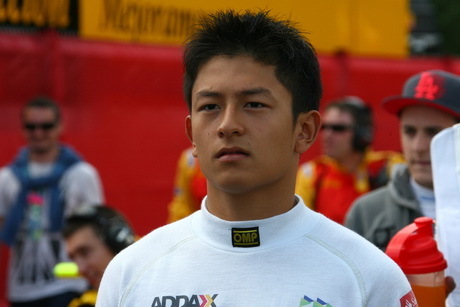 Nuerburg – Rio Haryanto was unable to get a satisfactory result in the first race of the GP2 German. Indonesian young rider was only finished in 18th position in the feature race. In all the 32 lap race at the Nuerburgring circuit on Saturday (07/06/2013), Rio start in 20th position. He succeeded in crossing the finish line in 1 hour and 1 minute 0.306 seconds and ranks 18th. This is the winner of the first race DAMS driver, Marcus Ericsson. Ericsson, who started from second position, finishing in 1 hour 16.988 seconds. Rio still has a chance to earn points in Germany. He will follow the sprint race on Sunday (07/07/2013) tomorrow. In the rider standings, Rio now ranks 18th with 20 collection points. Top position is occupied by Rapax driver, Stefano Coletti, with 135 points.